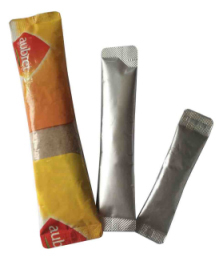 Usage: suitable for filling of powder and granular materials of food, chemical, seed, medicine and other granular and liquid. 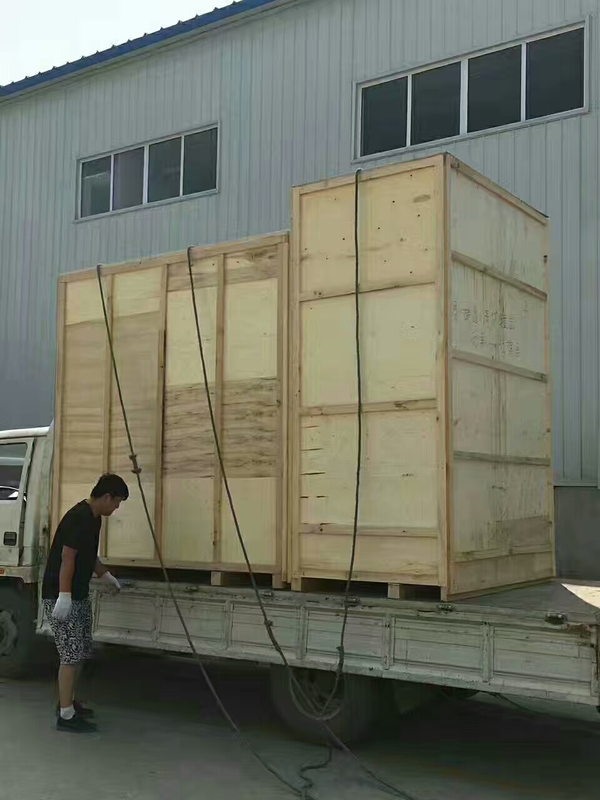 The measuring accuracy is high, the volume is small, the operation is flexible and simple, and the measurement and the speed can be stepless adjusted. 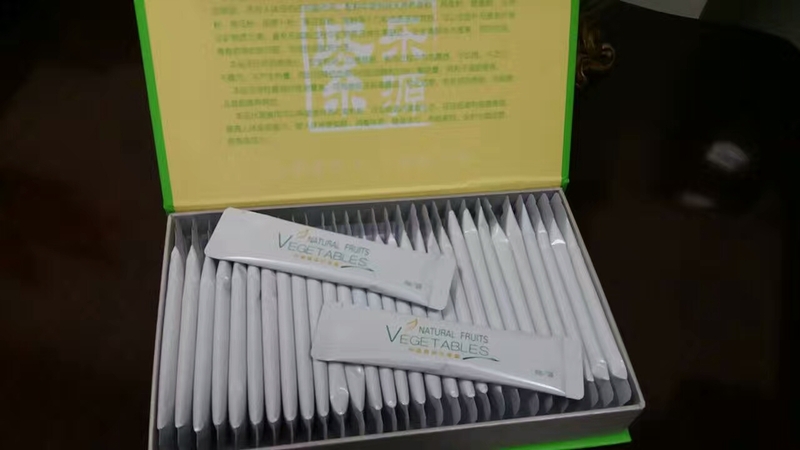 Usage: suitable for filling with powder and granule material in food, chemical industry, seed and medicine. 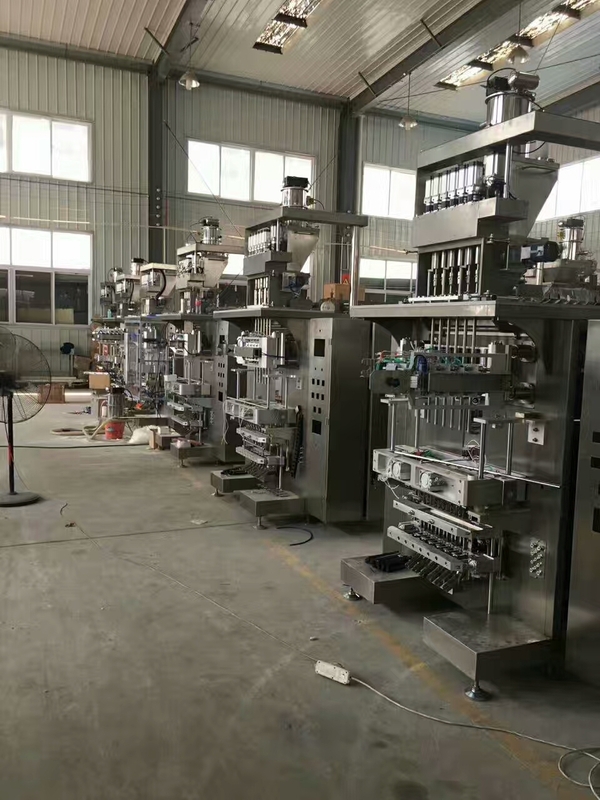 The measuring accuracy is high, the volume is small, the operation is flexible and simple, and the measurement and the speed can be stepless adjusted. 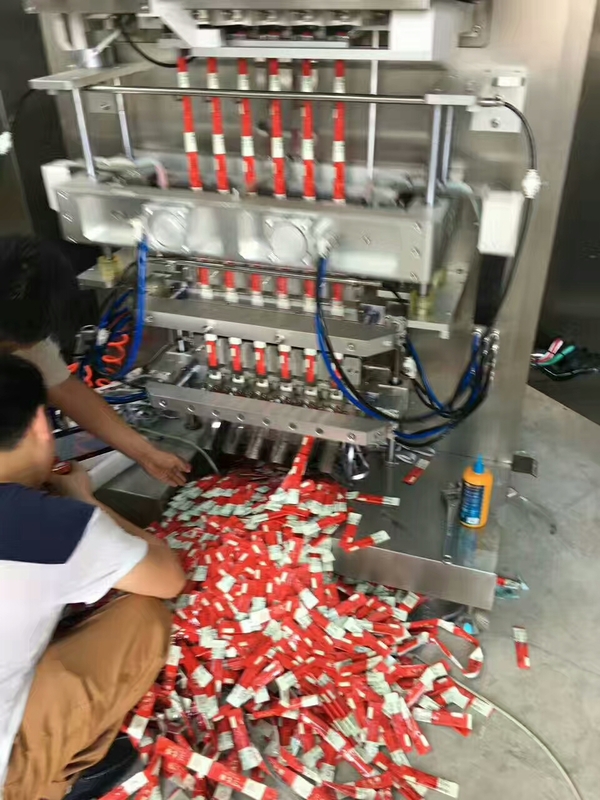 Can be change different measuriing equipment,to filled with different products packaging. 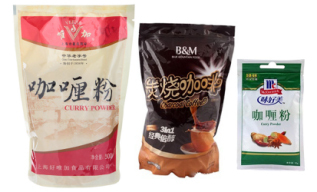 Suitable for packing of instant tea powder, sesame paste, powder, powder, seasoning, Zhuanggu coffee, Ganoderma powder, granule powder liquid paste packaging materials. 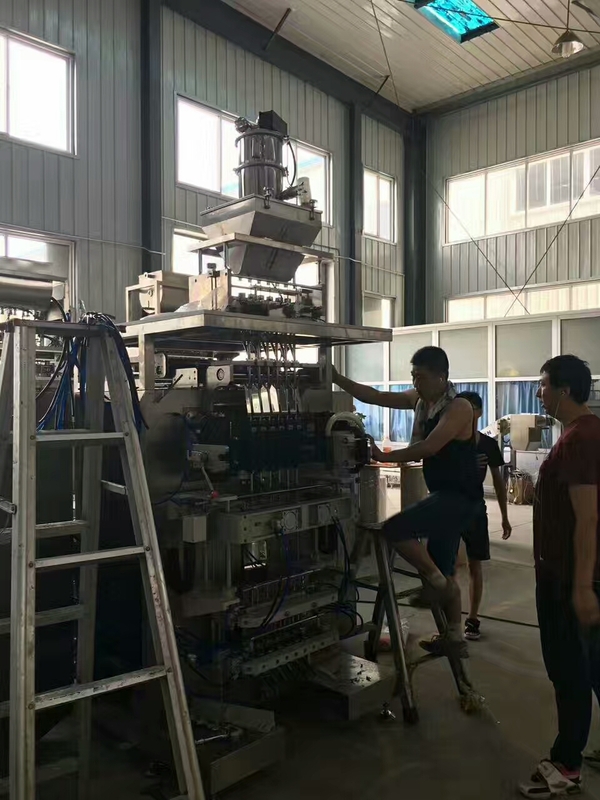 The machine adopts fully automatic computer control, and the stepping motor pulls the film. 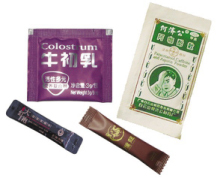 Good sealing performance, environmental protection, avoid leakage and moisture. Can use screw, turntable, air pump and other blanking way, accurate measurement. 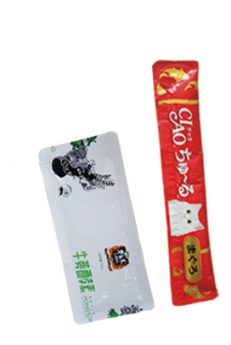 Seal adopts the form of die, and can make all kinds of edge banding. 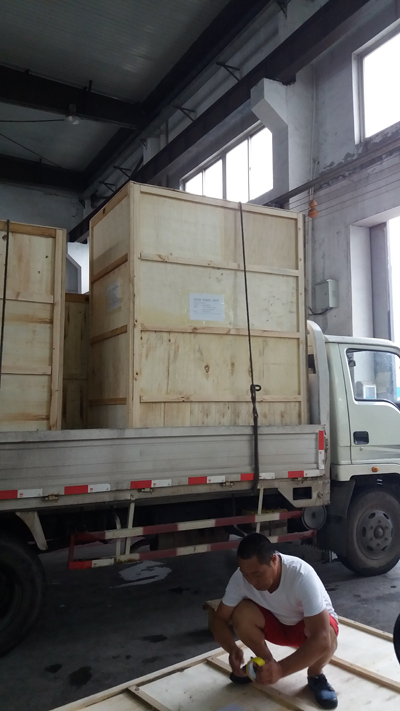 The work speed can be greatly improved, and the material leakage is avoided and no dust is generated. 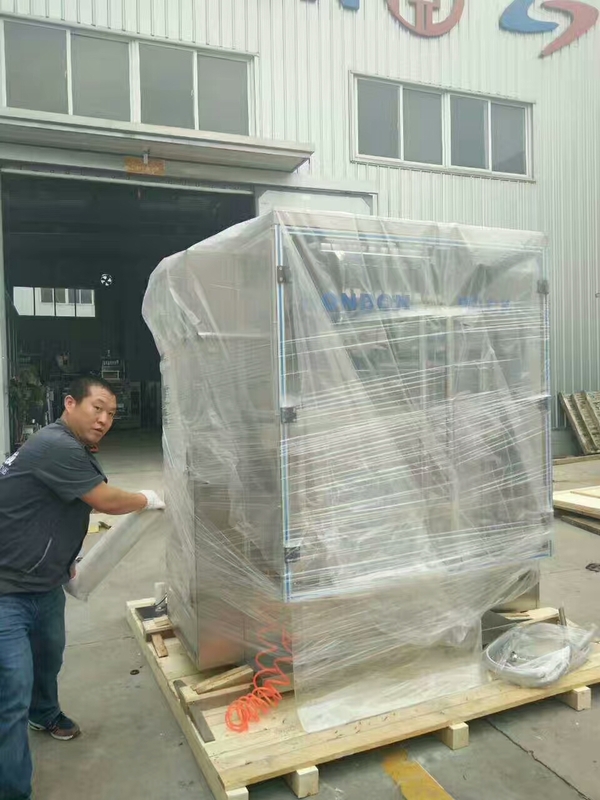 This machine is suitable for packing various kinds of dry powder such as milk powder, sesame paste, bone-strengthening powder, glossy ganoderma powder and other powder product. Computer control and HMI screen for easy operation to any parameters. 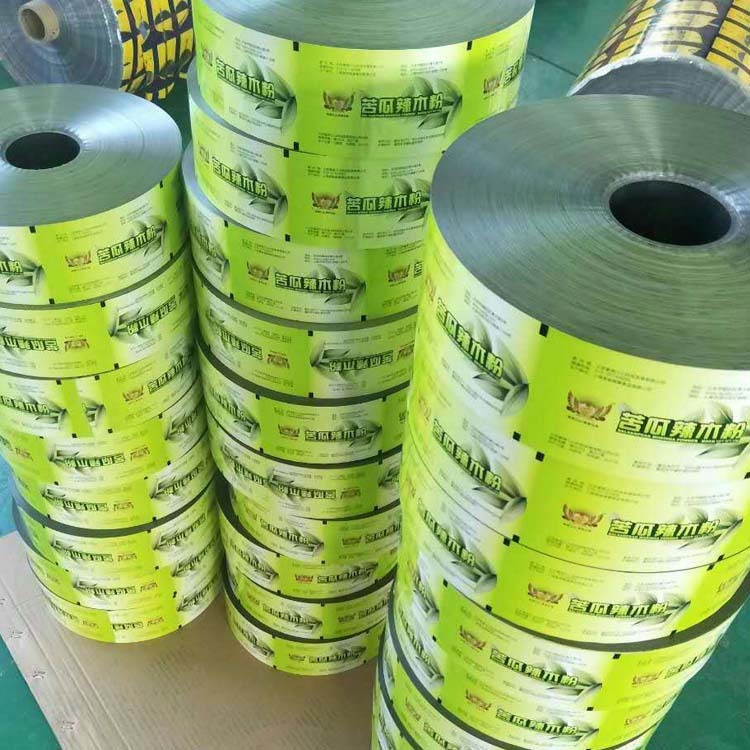 Adjust the bag length, filling weight, temperature, vibration and stepless speed without stopping the unit, to realize speedy film roll change and easy maintenance, greatly improved the efficiency and avoid the waste of film, and then save the cost. Step motor complete with photocell control for positioning accuracy of bags. 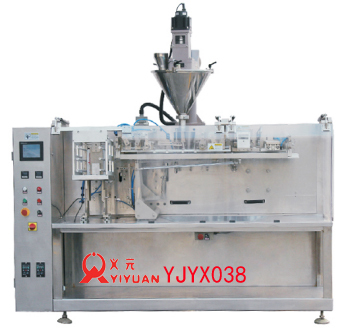 New design small auger filler system for filling accuracy . Working stability with less noise, and easy cleaning , greatly reduce maintenance cost. PID temperature controller for easy adjustment. Nip roll film delivery structure good for the film with a little static.